In the ‘about’ section on the Colors website, you can see a sepia-tone photograph of the co-creators of Colors magazine – creative director / editor-in-chief Tibor Kalman wearing a priest’s cassock, and photographer Oliviero Toscani, who conceived the magazine, in a nun’s habit. Toscani is captured mid-jump, locked arm-in-arm with Kalman, who is solemnly supporting him. It is an apt metaphor, more or less, for their made-in-heaven-and-hell relationship. It took a devilish mastermind to convince the co-founder of an international sweater company, Luciano Benetton, to invest in and publish a daring magazine that not only did not promote his goods but, thanks to the duo’s diabolical energy, alienated some Benetton customers and franchise holders through attacks on religion, capitalism, the military, medicine, power and more. The first issue, Fall / Winter 1991-02, was a radical departure from both corporate magazines and newsstand mags. The name Colors referred, of course, to the clothing brand United Colors of Benetton. Toscani was hired to promote the brand as a progressive, multicultural clothing company through provocative imagery that emphasised co-existence among disparate peoples, groups and doctrines. The cover photograph of a baby greeting the world seconds after leaving the womb, umbilical cord still attached, established the taboo-busting humanistic tone of this ‘magazine about the rest of the world’. Anyone who recalled the 1965 Life magazine cover photo of a fetus in the womb might have appreciated the continuity, the hint that this was a new form of Life. Colors has never achieved Life’s circulation, but for three decades it has stuck to the original premise of covering in numerous languages, through high-quality imagery, the impact of globalisation – economic, political, technological and ideological – on major and minor cultures. I doubt that media giant Vice could exist if not for Colors. 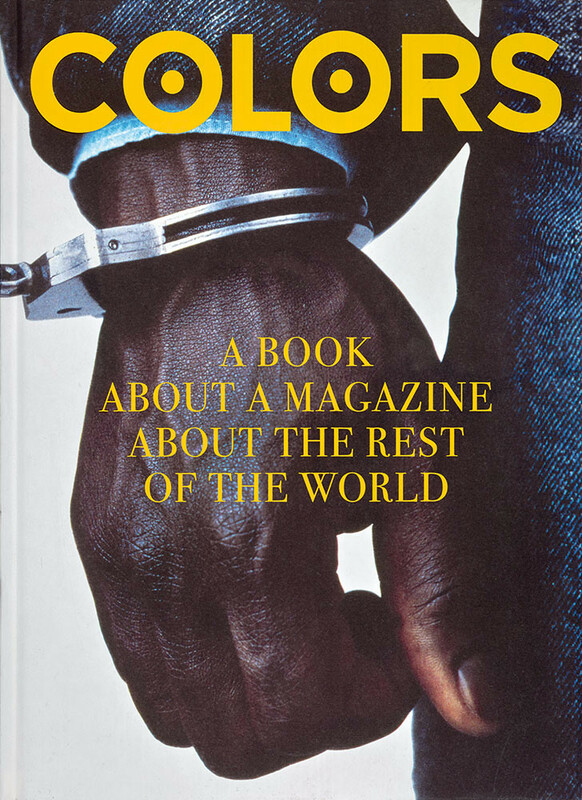 Now comes Colors: A Book about a Magazine about the Rest of the World. It’s a striking package, but if you are looking to be re-inspired by or introduced to those early, radical Toscani / Kalman issues, you will be disappointed: as far as I can tell, the Kalman issues are almost entirely absent. Yet, to be fair, the book is not a reprint of back issues but a remixed anthology of common Colors themes, including guns, love and Elvis. The landmark Kalman issues, including the explosive numbers on ‘Race’ (no. 4), with images of a black Queen Elizabeth, black Pope John Paul and black Arnold Schwarzenegger, and ‘AIDS’ (no. 7), with a portrait of Ronald Reagan disfigured by Kaposi’s sarcoma, have been reprinted elsewhere, but their absence leaves a hole at the heart of this book. There is still enough content in this volume that will inspire, if only to argue that hard-hitting magazine stories and visuals are still as potent as any digital platform. But I was more interested in the two interviews with Toscani and Benetton on the rationale behind the inception of Colors – and particularly in Toscani’s comments. 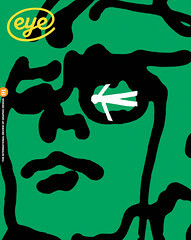 He had originally suggested that Benetton fund an in-house publication aimed at improving the morale of its workers. This evolved into a journal produced by Fabrica, the Benetton-funded art school and research centre in Treviso, northern Italy, which was intended to ‘hitch-hike’ with established periodicals – a supplement featuring original content, something like an advertorial. From that concept the magazine grew into what Toscani called a ‘nomadic’ journal with no fixed office, working anywhere there was something worth reporting. ‘My aspiration and vision for Colors was to make it eccentrically intelligent, a little different from the idiotic marketing world,’ Toscani says, adding that he ‘egotistically’ wanted to have his own magazine. When Kalman came aboard, things changed. ‘We began it in New York,’ Toscani recalls. ‘It was very difficult at first because Tibor didn’t really know what he was doing. He arrived on the job from Interview, a very snobbish and hip magazine, and kept saying “It has to be hip” but I kept on repeating that I didn’t want a fashionable title.’ Rather than hip, Colors soon became socially and political relevant and subversive at the same time. And while Kalman and Toscani had similar principles, they also had warring egos. ‘Tibor and I argued incessantly, about ideas and how the magazine should be done,’ Toscani notes. He also recalled: ‘Of course with an American I had to speak English as even the notion of other languages is foreign to them. When he pretended he didn’t understand [my Italian], I said to Tibor: “Learn Italian, idiot, I’m paying you with Italian money.”’ He never did learn the language and left the magazine in 1995 when diagnosed with cancer; he died in 1999. Toscani remained for ten years, until issues 38-39, resigning in 2000. When asked if Benetton gave him carte blanche with Colors, Toscani says: ‘They had no idea of what I was doing. Not even I knew. It was like discovering America. I never have carte blanche; I need limits and difficulties to overcome. Anyway, I could never have done it alone, I exploited the talents of others.’ This book shows a highly selective version of that outcome. While impressive, it falls short of what the individual magazines accomplished. Top: Cover of Colors book shows a detail from a 1989 poster for Benetton by art director and photographer Oliviero Toscani.